Katey Love, Australian designer, specialises in black and white books and products designed specifically for babies from newborn until 9 months of age. At birth a baby’s eyesight is quite poor; black and white images with sharp outlines are much easier for baby to see in these first few months of life when it is hard for them to focus, and hard for them to differentiate colour. Mesmerised designs are optimised for baby – we make sure that each design is the sharpest and clearest it can be for baby, with no unnecessary detail. At the same time we ensure that the designs are fun, friendly and appealing to both baby and parent. Use of the Mesmerised products will not only nurture visual development, but will also provide a wonderful way for parents to interact with their new baby. 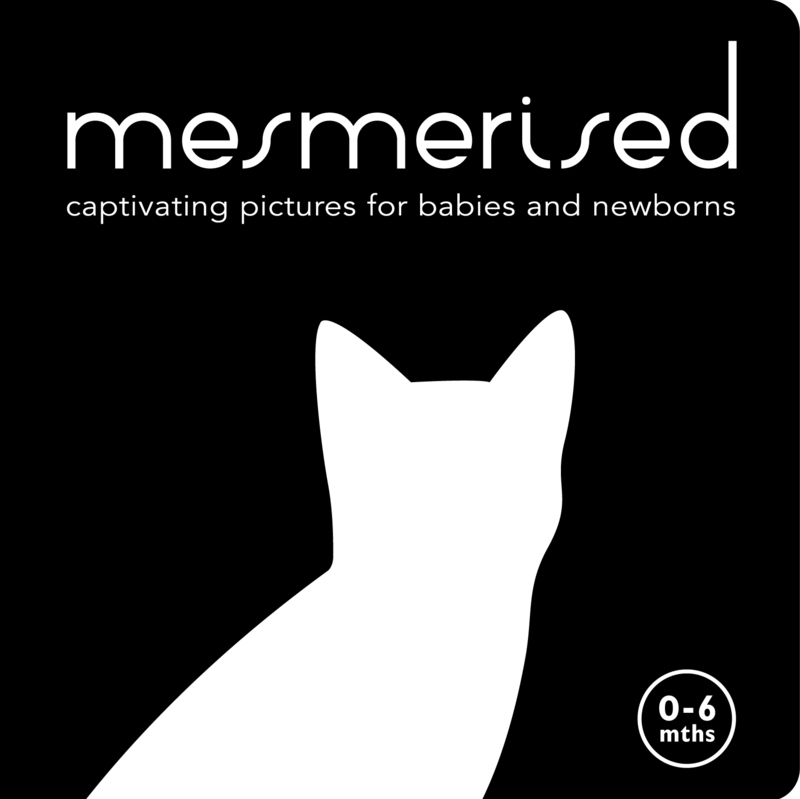 Parents will be amazed at how their little one engages and focuses on the ‘Mesmerised’ board book from the day they are born. Katey was inspired to design a black and white book of her own when she noticed how captivated her first baby was with black and white images. She now has 2 board books and a flashcard set in the Mesmerised range. Mesmerised products are Australian-designed, environmentally sensitive, and baby-safe. 2017 – Mesmerised and Baby Face board books are the books of choice for an early literacy initiative being run in the Children’s Ward and Special Care Nursery of the South Eastern Sydney Local Health District. The books will be given to babies born in St George Hospital during the 3 month program.